Interested in learning more about yoga and how to include it at your 4-H club activities? Yoga has multiple mental and physical health benefits and is something people of all ages can do. Please join the Ohio 4-H Health Heroes in learning some fun and relaxing yoga poses at the Ohio State Fair Youth Center. This event will be held on Wednesday, July 25th at 5:00 pm. Best of luck to all of our members competing at with their projects at the Ohio State Fair! 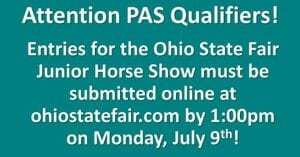 We will have members competing with livestock, equine, canine and still projects at the Ohio State Fair this year. We are so proud of all of our members. For canine and still project results, please go to: https://ohio4h.org/ohiostatefair/2018-results. Results should be posted by 11 am the day following the judging. Click on the judging day to see the list of results for that day. Congratulations to all of our members who went through Special Interest, Food, and Clothing Judging for 2018. Results are listed on the Licking County OSU website. Please use the links below to access them or you can find them on the Awards, Results & Recognition page at http://licking.osu.edu. 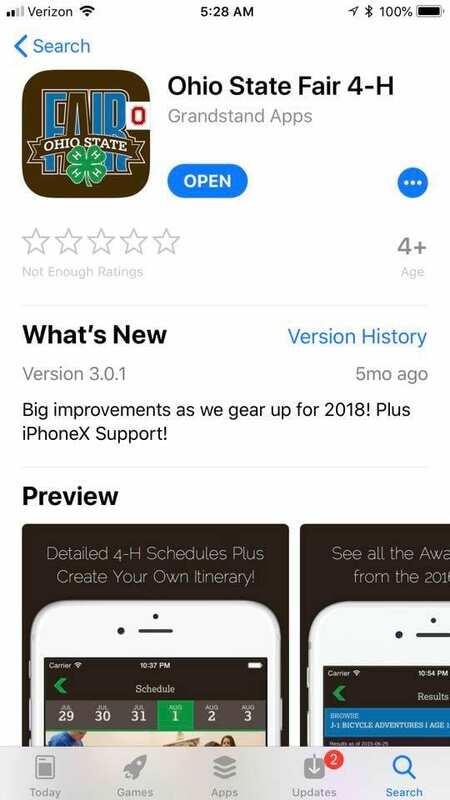 The 2018 Ohio State Fair 4-H app is now available at the iOS store and in the Google Play store. This app contains the 4-H non-livestock schedule, schedule for livestock skill-a-thons, maps, a survey and a listing of non-livestock donors. Users will be able to search for results from 4-H non-livestock events. Verification forms for 2018 Hartford Fair entries were mailed out last week. If you have not received your verification, please contact the Hartford Fair Office at 740.893.4881 to confirm that they have your entry. If there is a mistake with your entry. Please call the Hartford Fair Office to correct the mistake. NO changes will be made after noon on Saturday, July 21, 2018! We are so proud of all of our members who participated in Achievement Days. Results are now posted for Special Interest Projects and Foods & Nutrition Projects. We hope that members receiving awards will join us on Thursday, July 19th at 6:30 p.m. at the Reese Center on the OSU-Newark/COTC campus for the Licking County 4-H Style Revue and Awards Night. Members taking clothing projects will complete their project judging by modeling their outfits and then members receiving awards for Special Interest and Food & Nutrition Projects will be called up on stage to receive their ribbons. Special awards winners will be announced as well. 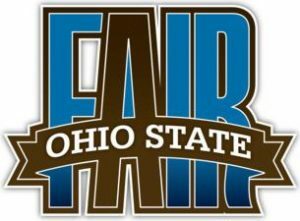 Members who were selected as Ohio State Fair Representatives should receive a packet of information in the mail with all of the information they need for state fair judging. If you do not receive your packet by the end of this week, please let our office know so we can get you the information you need. If you cannot attend judging at the state fair, please let us know immediately so that we can give the member selected as the alternate the chance to attend. 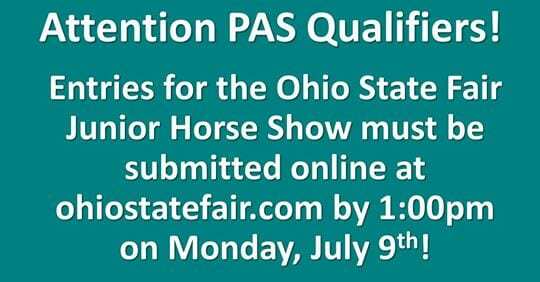 If you are a PAS Qualifier, entries for the Ohio State Fair Junior Horse Show must be submitted online by Monday, July 9th at 1:00 p.m.! The Hartford Fair will be mailing out verification forms on July 14th to all members who made entries. Please open and check your verification for accuracy as soon as it arrives! If there is a mistake with your entries, please contact the Hartford Fair Office to get it corrected. If you do not receive a verification in the mail before July 21st, please contact the fair office to check your entries. NO CHANGES WILL BE MADE TO ENTRIES AFTER JULY 21ST! It is your responsibility to contact the Hartford Fair office if you have concerns/questions about your entries. Late entries will be accepted at the Hartford Fair Office until Saturday, July 14th. There is a $10 late fee per entry.